Pakora Kari so you can now easily make this in your home I have tried and after tasting it's really unique taste and make at home.I want make my family that so good and delicious taste to eat and everyone like to eat. Really very soft, tender and succulent in taste and texture. I really loved this food. My mother is also liked it so much that she said to make it again in today’s dinner as well. wow yummy and delicious I love pakora Kari and I always make this dish and thanks for sharing this recipe specially thanks kfoods. I love its taste. Pakora kari is not something you can get in a day or two. pakora kari is like dasi dish and really I love this dish. Pakora Kari is one of the most cooked recipes of Pakistani cuisine. Many families prepare it with their own unique method and taste preferences. 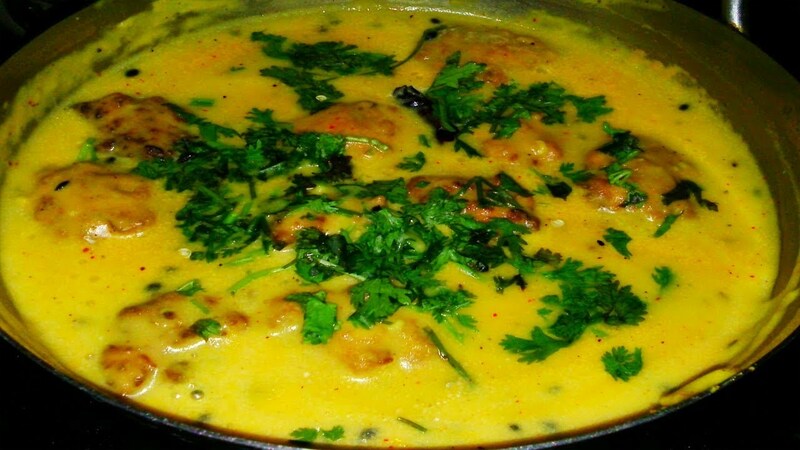 Curd and Besan rich curry is cooked with Pakora to give a perfect creamy taste and flavor. The curry of Pakora Kari recipe requires besan, onions, curd, spices, salt, and haldi. All the ingredients are mixed well and cooked on low heat till thickens. Pakora batter is made using besan, spices, onions, green and red chilies, and coriander. Pakoray are fried in oil and then added to the thick curry and let it cooked for sometime till it becomes soften. Pakora Kari is served with boiled rice, Chapatti, and Roti. You can follow this recipe to get the perfect taste at home.